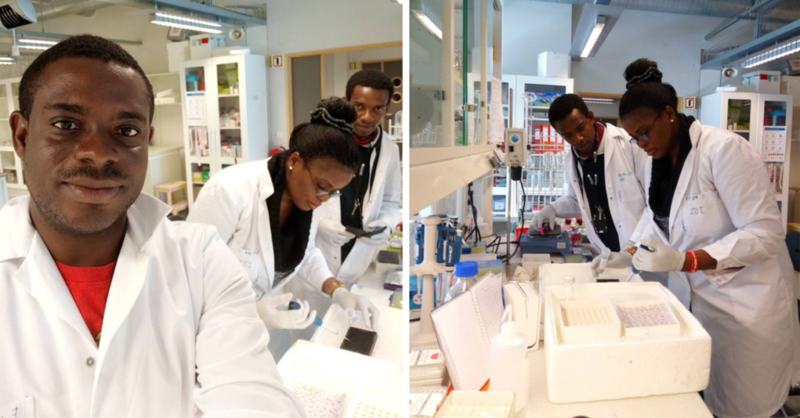 Her destination: the lab of longtime collaborator Professor Augustine Arukwe at the Norwegian University of Science and Technology (NTNU) in Trondheim. Dr. Adeogun is among the world’s leading environmental toxicologists, studying the effects of pollution on the environment, fish, and people. For her groundbreaking work, she was recognized with a prestigious 2018 Global Senior Scholar Award from the Society of Toxicology. That award provided a modest stipend for Dr. Adeogun to continue pushing ahead her research, but she doesn’t have the advanced equipment she needs in her lab in Nigeria. So Dr. Adeogun and one of her PhD students are using that funding to travel to Professor Arukwe’s lab through the end of May, where they have an array of cutting-edge tools and instruments at their fingertips. 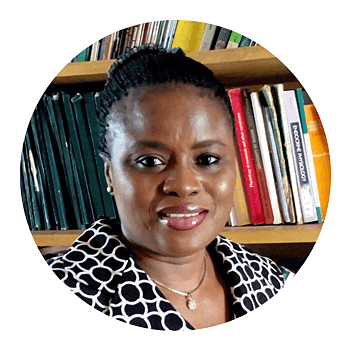 Through the Society of Toxicology, Professor Arukwe is serving as the Global Senior Scholar Host for Dr. Adeogun. He has extended his support and funding to Dr. Adeogun and three of her students since 2014. “His commitment to capacity building in Nigeria has helped us carry out molecular and chemical analysis of pollutants in our aquatic environment,” says Dr. Adeogun. It’s a fruitful partnership; their research in his lab has culminated in more than a dozen papers published in high-impact journals. Upon arriving at Professor Arukwe’s lab in March, her PhD student Dami Omogbemi was “awed at all the equipment he is seeing here,” she reports. In the meantime, Dr. Adeogun and colleagues in the Department of Zoology at UI are looking forward to the arrival of their Instrumental Access shipment. “Imagine the impact we’ll make when we eventually have this equipment at our home base and more students are able to learn,” she says. Photo at top left: Dr. Richard Ibor was a PhD student of Dr. Adeogun's and is now completing a postdoctoral fellowship in Professor Arukwe's lab. "Though he could have done [his postdoc] in Nigeria if we had funding and equipment," she says, while she and PhD student Dami Omogbemi work in the background. Photo at top right: Dr. Adeogun demonstrates how to run an EROD enzyme assay to PhD student Dami Omogbemi. Great! This is amazing. Not surprised. Unparallel achievement. She deserved the awards in recognition of her tireless and unrelenting efforts. Without mincing words, this added knowledge in her area of preference and the new tools will definitely enhance the University of Ibadan, the department of Zoology status in that area of specialization and also add value to their students exposure and standard. Doc. keep it up, you are high flyer, more in sight. Congratulations and best wishes all the way, for a most productive utilisation of these facilities for the giant strides we envision. Nice job!. Wish y’all the best. Seeding Labs is doing an excellent job in strengthening STEM capacities in Africa and other developing. Congratulations and resounding congratulations to Prof. Adeogun on this great achievement Seeding Labs 2018 Instrumental Access awardee. Thanks very much for your kind words and support! You’re doing great Dr Adeogun. Having a few like you in Zoology Department will transform the Department to a world class and student friendly research centre. Don’t relent, you’re creating an indelible mark. This is very inspiring. We hope for more collaborations that will make research in Nigeria meaningful. Congratulations Dr. Adeogun… and kudos to Seeding labs for such a wonderful initiative. We now need to launch out a huge campaign on impact. Africa has been backward for too long. Good to hear this news about fellow researchers in Nigeria. Congratulations to Dr Aina. Adeogun and her team. Congratulations Dr. Adeogun. I request for collaboration with our group that is working on toxicology of pollutants in Niger Delta environmental matrix. Hi Dr Uzoekwe, We’ll share your message with Dr Adeogun! Thanks.